We are proud to be regarded among the top preppy online stores for women’s fashion. Melly M provides gorgeous dresses, shorts, polos, crew tops, and much more. A lot of preppy style fashion revolves around being practical while simultaneously being functional. Sportswear is a common theme for preppy fashion lovers. Melly M loves this concept and has applied this fact to the clothing items that we offer our clients. We have a dedicated section on our site that is devoted to showcasing our gorgeous and comfortable women’s golf outfits. When you visit a golf and country club you will be typically met with an attire requirement. This is to be expected; dress codes are used in order sustain the integrity of the sport and keep a certain level of class and opulence within the club. We love the concept of country club attire and work diligently to provide our clients with fashionable items that they can sport on the open green fields of your favorite golf locale. We have witnessed first hand the benefits of dressing for success. When you wear high-quality raiments that that looks good you will not only give the people that you meet your best impression, but you will also feel more confident and at ease in your own skin. 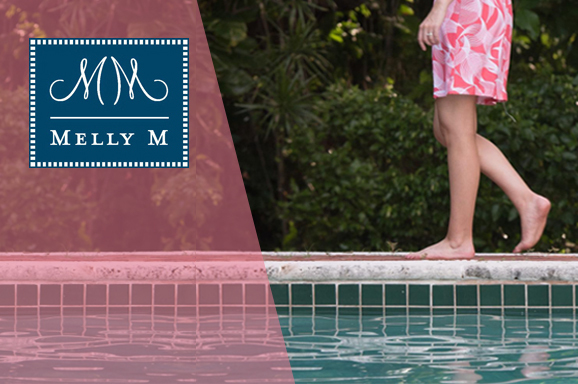 Melly M is committed to the provision of premium quality preppy style clothing for women. We are among the top preppy online stores for women’s fashion and can help you find your next amazing outfit. Contact us at Melly M today with any questions regarding our clothing or for help placing an order.